Weight loss after biliopancreatic diversion or duodenal switch is due to decreased calorie absorption secondary to fat malabsorption. Fat malabsorption may also cause essential fat-soluble vitamin deficiencies, which may have severe clinical consequences and alter calcium metabolism. Serum vitamins A, D, E, and K, zinc, parathyroid hormone, corrected calcium, and alkaline phosphatase levels were measured in a cohort of patients who had previously undergone biliopancreatic diversion. Two bariatric surgery units were involved in the study: New York University School of Medicine (New York, NY), and the Wesley Medical Center (Brisbane, Australia). A total of 170 patients completed the study. The incidence of vitamin A deficiency was 69%, vitamin K deficiency 68%, and vitamin D deficiency 63% by the fourth year after surgery. The incidence of vitamin E and zinc deficiency did not increase with time after surgery. The incidence of hypocalcemia increased from 15% to 48% over the study period with a corresponding increase in serum parathyroid hormone values in 69% of patients in the fourth postoperative year. There is a progressive increase in the incidence and severity of hypovitaminemia A, D, and K with time after biliopancreatic diversion and duodenal switch. Calcium metabolism is affected with an increasing incidence of secondary hyperparathyrodisim and evidence of increased bone resorption in 3% of patients. 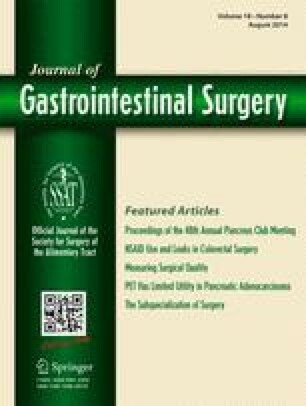 Long-term nutritional monitoring is necessary after malabsorptive operations for morbid obesity. Presented at the Forty-Fourth Annual Meeting of The Society for Surgery of the Alimentary Tract, Orlando, Florida, May 18–21, 2003 (oral presentation).